The Classic series is available in multiple thermofused finished that feature a natural wood grain look. And our Tech series comes in a sleek and stylish two toned thermofused finish. 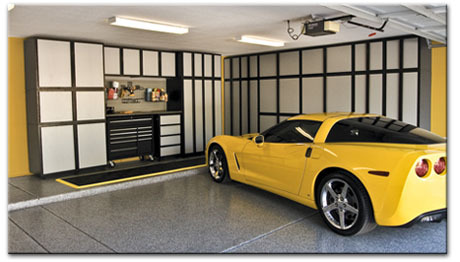 The perfect accessories include options such as Slat-Wall and slat-wall accessories, Overhead storage racks, automatic bike lift racks, Stainless steel countertops, etc... Contact us to find a local dealer near you! 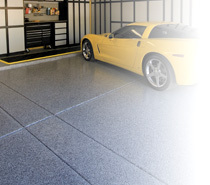 Our products are very simple to install! If you decide to assemble your Slide-Lok cabinets yourself, all of our products come with instructions and hardware needed for assembly and installation. You will basic tools, and wood glue. 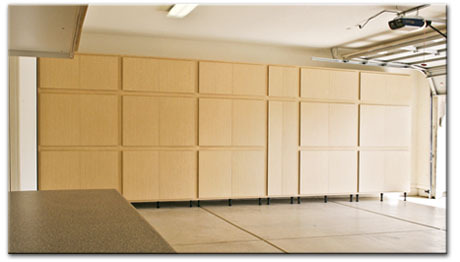 Our patented dovetail assembly allows our cabinets to easily slide together without force or effort. Patented Dovetail Construction - Easy to assemble!